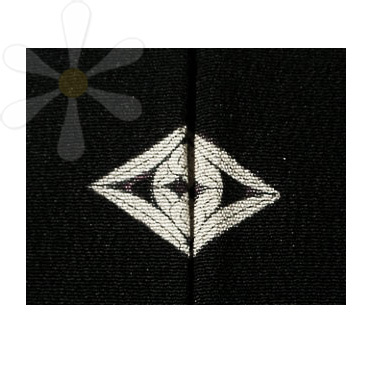 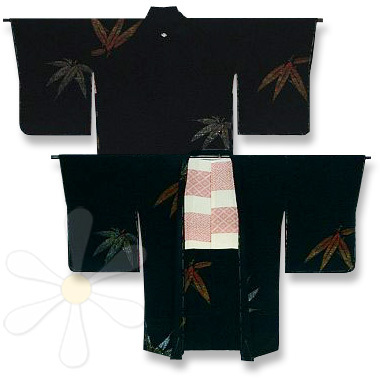 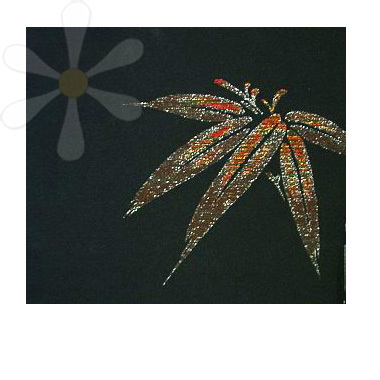 A black silk haori from the second quarter of the 20th century, pre-WWII, estimated to have been created in the late 1930s to early '40s based on the design, which depicts large stylized bamboo leaves woven in urushi and metallic threads. 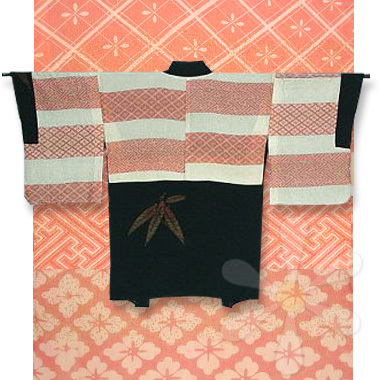 A white family crest appears on the upper center back. 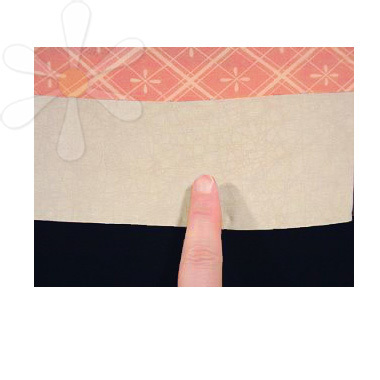 The light silk lining is printed in dark rose using the katagami technique.